The Friends of Foster Hill Road Cemetery host a number of themed talks during the year, which are open to the public and always prove very popular. The Cemetery records are available at the Chapel during the Heritage Weekend in September and an annual carol concert is held near Christmas. Other events are held to mark special occasions. Members of the Friends lead several guided walks during the summer months. Each walk is themed and covers topics such as the Cemetery’s spectacular graves, its history, its wildlife, tales of those buried there and more. Walks are also included during the Heritage weekend. The walks last approximately 1.5 hours and the pace is gentle. However, the cemetery grounds are uneven so a pair of stout walking shoes is recommended. We are also happy to arrange bespoke walks for interested groups, please contact us for details. The times and dates of our events vary, so please see our events calendar for more details. As part of National Cemeteries Week we will be leading two walks through the cemetery. 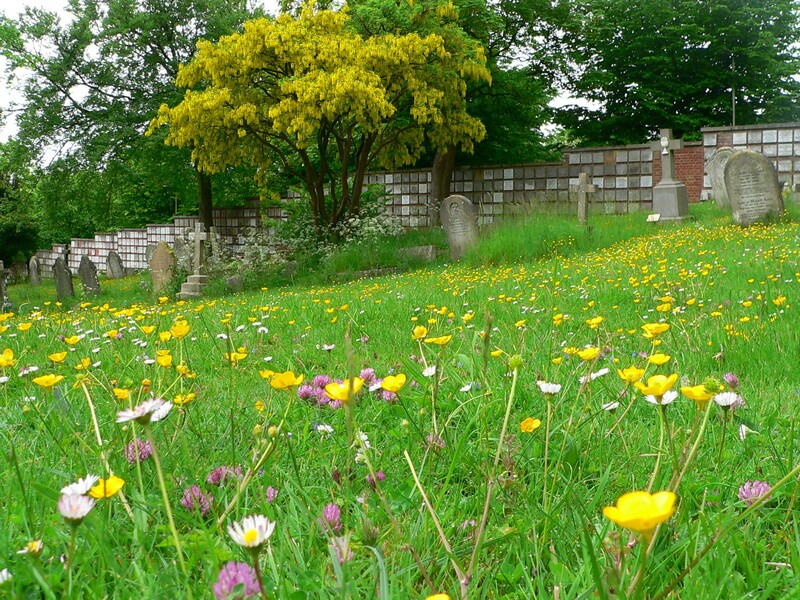 These walks will try to cover all aspects of the cemetery’s life (or death). They will look at military memorials, complete family groups, local worthies, children and just curious ones. You will learn how and why the cemetery came into existence, its organisation and its future. This is an idle stroll around the cemetery to fascinating places and there should be something to interest everyone. This event is free. Refreshments will be available at the Chapel for a small charge.